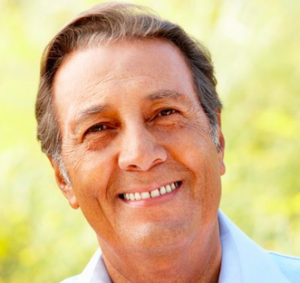 For over 9 years, Ricardo suffered from an array of undiagnosed symptoms--chronic fatigue, decreased tolerance for exercise and activity, shortness of breath and hyperventilation. He sought a diagnosis and treatment plan from multiple specialists in his native country of Colombia to no avail. Not willing to give up, Ricardo’s daughter Jenny and his close friend Sandra reached out to Grand Rounds to connect him with a world-class specialist for an Expert Opinion. Grand Rounds connected Ricardo with an expert 2,500 miles away—Dr. Stephen Paget, the Physician-in-Chief Emeritus and Chairman of the Division of Rheumatology at the Hospital for Special Surgery (New York, NY). Grand Rounds quickly collected and securely digitized his medical records and lab test results so that Dr. Paget could remotely review all the pertinent information. Within a couple of days of receiving Ricardo’s medical records and clinical questions, Dr. Paget was able to provide an accurate diagnosis of hyponatremia— a result of low sodium in the blood. For the first time in nearly 10 years, Ricardo had answers and a course of action. In his interactions with Ricardo, Dr. Paget also provided recommendations for additional expert specialists who could finally assist in providing him with relief for the wide range of symptoms he was experiencing. “Many times, patients run out of options, and it seems like there is no answer to an illness. Grand Rounds opens the door for new possibilities—which is especially wonderful for those living in areas without this type of access,” says Sandra, who helped Ricardo manage his care. Commenting on the value of Grand Rounds for patients like Ricardo, Dr. Paget stated that "everyone deserves access to the best care possible, but not everyone knows where to go. This is where Grand Rounds shines. Grand Rounds connects me to new patients who have complicated cases that require true expertise in care."